Design Engineer at @infermedica. Runner, nature lover, sometimes a speaker. 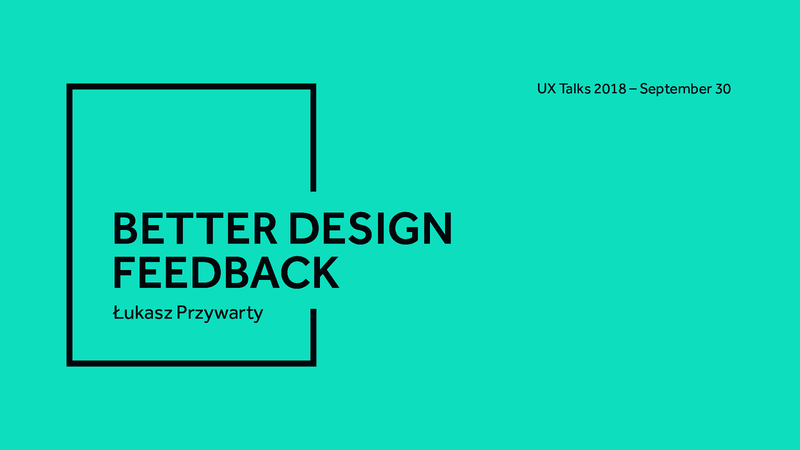 Let's discuss the most common feedback fails and how can we do better. Łukasz puts presentations on for free. You can too.